Gary Ibsen was surprised to hear from me as he picked up the phone in his California home. We had scheduled a morning interview, but neither of us realized we were in different time zones. The 74-year-old co-owner of TomatoFest was in the middle of his morning ritual with the love of his life, Dagma Lacey, and asked if I could call back in 30 minutes. One day he had an epiphany, inspired by these tasty fruits. Ibsen invited chefs he was friendly with along with others for a backyard celebration of his heirloom tomatoes to spread the word of their culinary superiority. 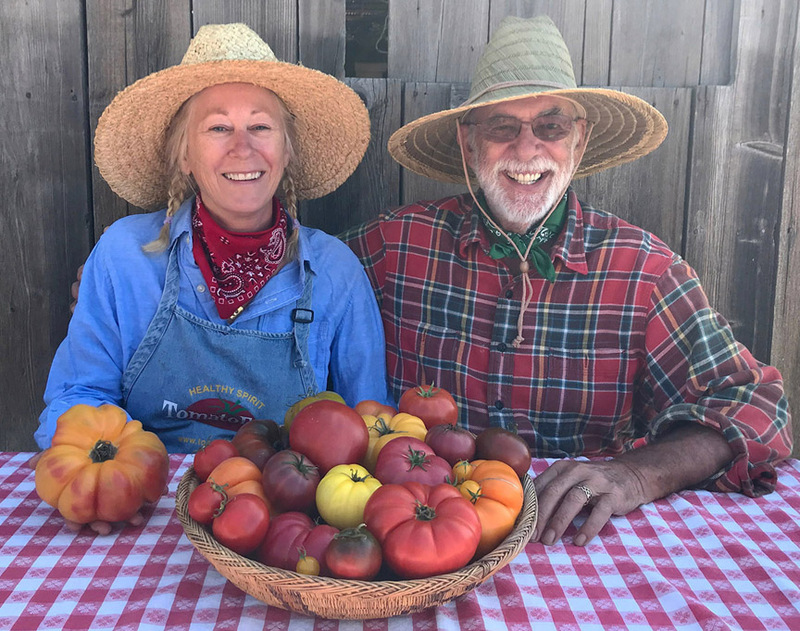 The initial TomatoFest for 50 people grew into an annual event that lasted 17 years in Carmel Valley, Ca., eventually drawing thousands of like-minded tomato lovers from all over the world. 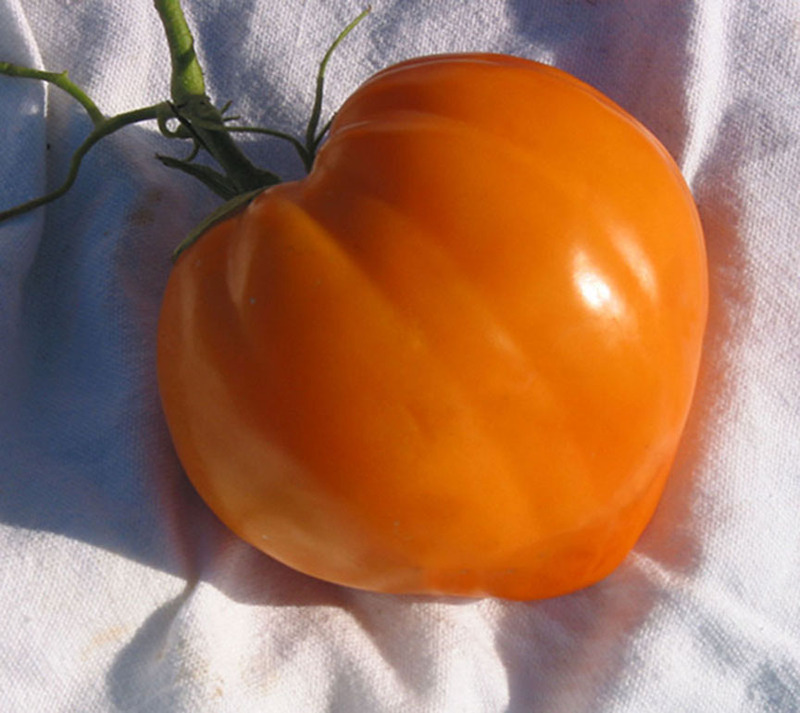 ‘Anthony’s Passionate Heart’ is a tomato named for the late chef and television Anthony Bourdain. 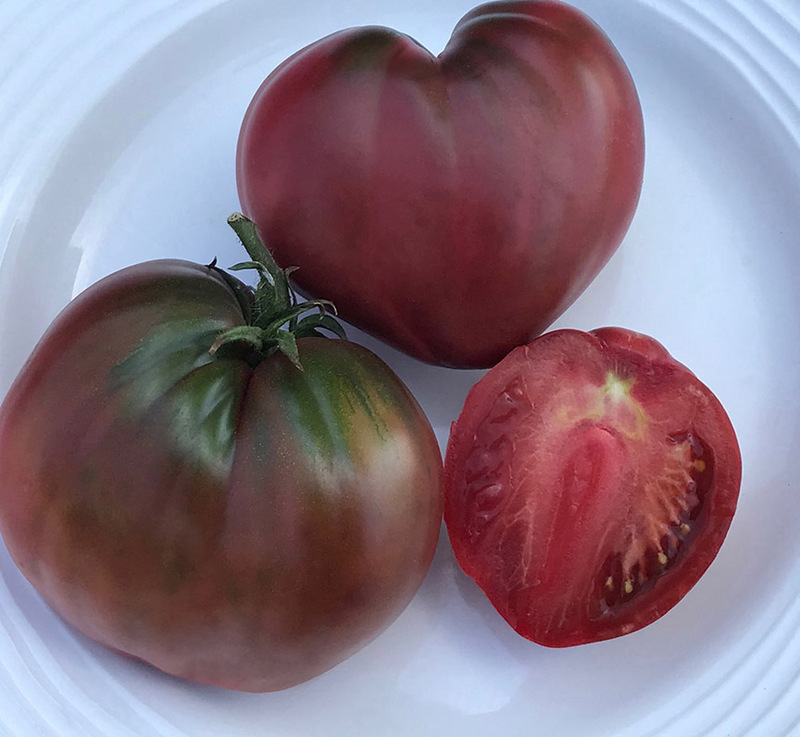 ‘Dwarf Purple Heart’ is part of new series of tomatoes that stay small. “I was overwhelmed with appreciation,” he says of these diminutive cultivars. The plants are big and leafy with a thick stem, very productive, but smaller in stature, growing anywhere from two feet to four feet tall. They are indeterminate varieties, but will only reach a certain height. The dwarf plants can be grown in something as small as a five-gallon bucket. Younger gardeners are attracted to the smaller varieties as are older growers trying to cut back on the amount of work needed to grow full-sized plants. He’s added 24 new dwarf varieties, even though he’s pledged to grow less. 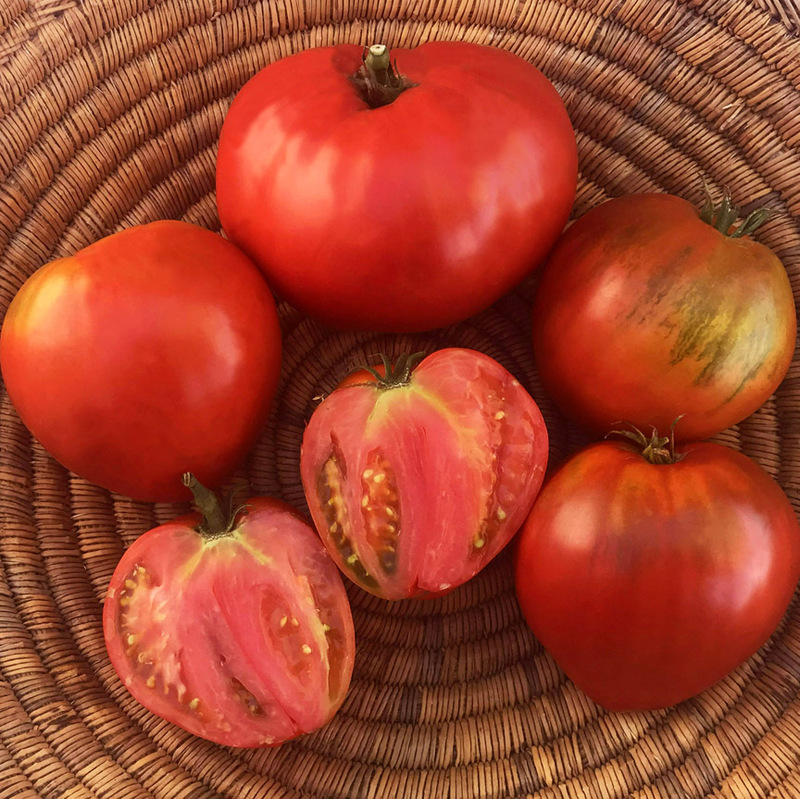 ‘Uluru Ochre’ produces 12-ounce black and orange fruit with fantastic, delicious flavors. ‘Dwarf Purple Heart’ is very productive, putting on heart-shaped, purplish/black tomatoes that weigh six to 16 ounces. 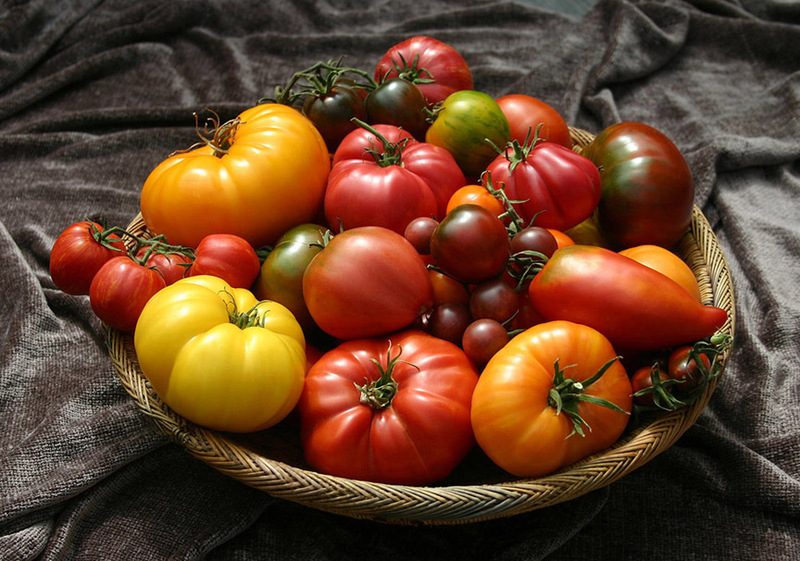 Just a few of the 650 different heirloom varieties offered by TomatoFest. Gary Ibsen’s personal favorite tomatoes. Dagma Lacey’s personal favorite tomatoes. Tomato discovered on WWII battlefield lives on. Keeping tomato plants disease free. A special garden for a special person.